Where are the Grab Straps/ Handles in your Trains? 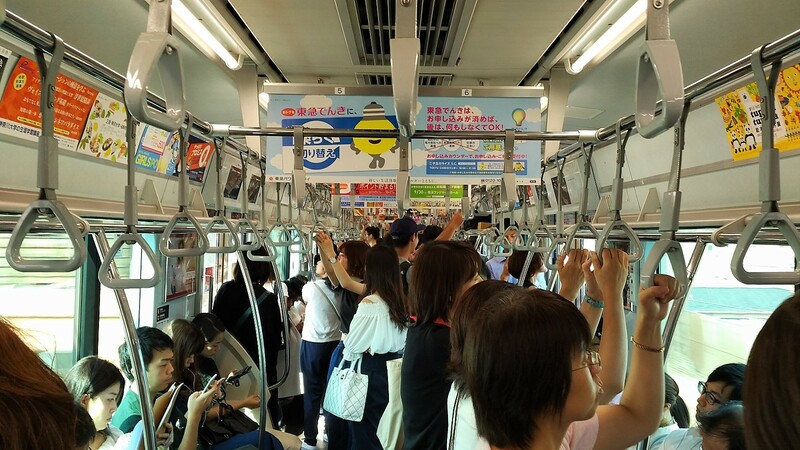 Have you ever given a thought to the grab straps (handles, straps, loops, grips, … there’s a debate on what the correct word is) in the trains? If you take a look at the pictures on Wikipedia, you’ll see that these seem to vary a bit across countries. In Singapore, we have a few nice evenly spaced, equal length grab straps. SGTrains has a beautiful page that shows these quite nicely for one of the trains – there are three rows inside the carriage and a couple of grab straps close to the doors. Number of straps: I noticed that between two doors on the train that I was riding, there were 7 seats and 10 grab straps to allow for more people standing. Two rows, not three: While there are only 2 rows, there are bars that cut across with more grab straps on them. That brings in a few more straps! Different lengths: This was very curious and interesting. In Singapore, the grab straps are all the same length. I noticed that on this train, the grab straps were two different lengths. I’m not sure of the reason, but it certainly allows people of different heights (think children!) to travel comfortably. Of the 10 straps in front of a row of seats, there were 3 straps that hung lower. Grab straps near doors: You’ll see from the SGTrains site, that in Singapore, we leave the door almost all clear (see note below). On the other hand, in Tokyo, I saw that there were a lot of straps close to the door… 16 straps to be precise. There were 3 straps facing the insides of the train and 5 each facing the doors on the two sides. You’ll notice that the grab straps hang down to two different levels. Also, see the set of straps that cuts across from one row to the other – rather than having 3 rows. Given how crowded it is around the doors, you’ll see that there are 5 straps facing the door and 3 straps facing inside – a total of 16 grab straps in a box around the door. A note about Singapore: It seems that the straps and handrails were modified to encourage more commuters to move towards the centre of the car – that’s probably why the area around the doors are clear. As the trains get more crowded, I wonder if this is necessary. Edit: Grab Handles or Straps? Originally, I had called these grab handles but I think grab straps are probably a better choice of word – I’ve updated the article to call these grab straps for now. 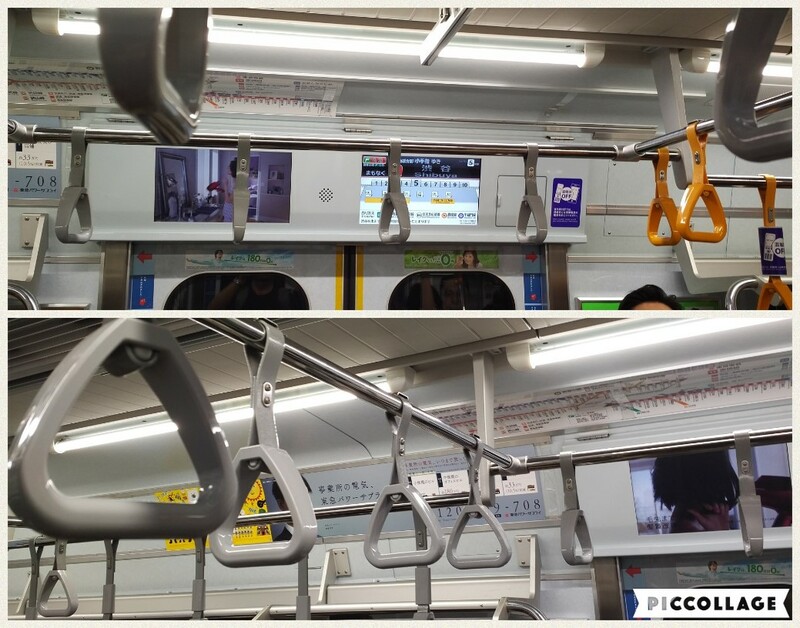 It’s interesting to note how different cities plan the grab straps differently; in fact, I remember seeing that the BTS trains in Bangkok have a circular handle bar area, as you can see in this Shutterstock photo that I found.